It’s an expected measure since HISD is trying to bridge a $115 million budget gap for the 2018-19 school year. Interim Superintendent Grenita Lathan sent this notice to employees this week. 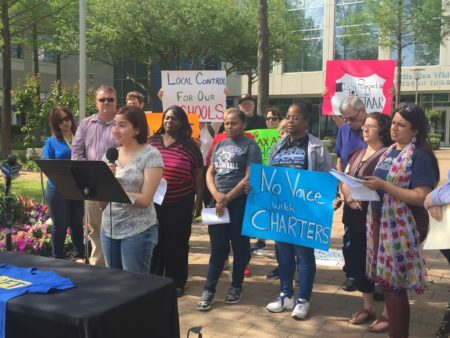 Employees in the Houston Independent School District are starting to get layoff letters, as the state’s largest school district grapples with a major budget deficit. 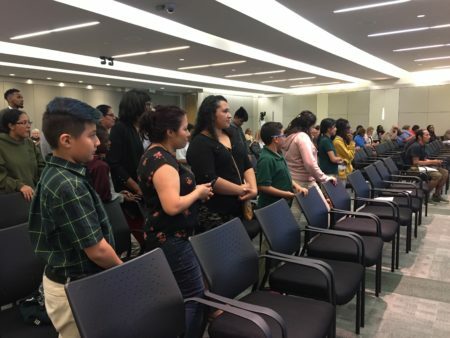 It’s an expected measure since the HISD board approved what’s called a “reduction in force” earlier this year to help bridge a $115 million budget gap for the 2018-19 school year. HISD couldn’t confirm how many notices have been sent so far, but Tracy Clemons, HISD spokesman, said that the notices affect campus and departments across the district. 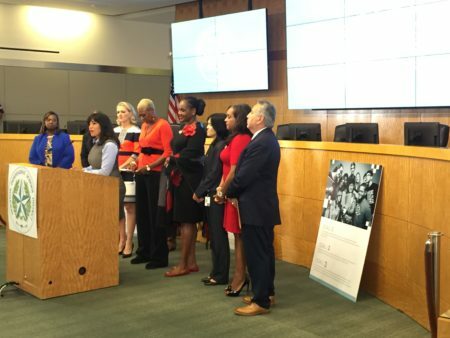 To help impacted employees, HISD’s interim Superintendent Grenita Lathan announced Friday a series of workshops to help employees with their careers, whether that’s to try and transfer to other HISD departments or find new jobs. 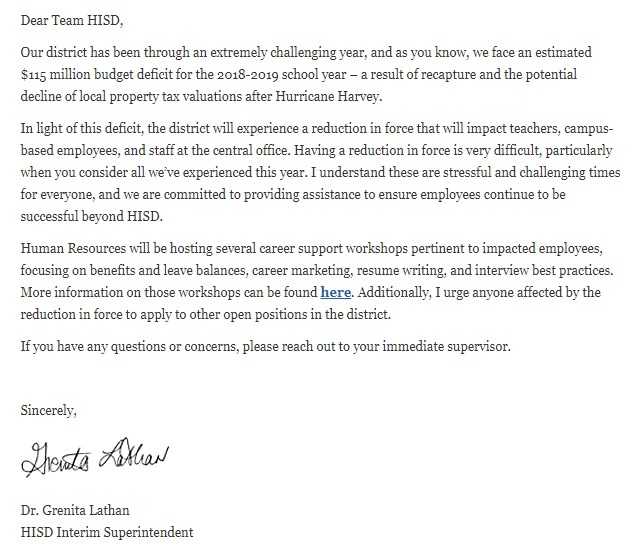 “I understand these are stressful and challenging times for everyone, and we are committed to providing assistance to ensure employees continue to be successful beyond HISD,” Lathan wrote in a note to employees. Steve Antley, with the Congress of Houston Teachers, said that he is aware that a few notices have started to go out.